Castle Ashby Park, Northamptonshire, UK. BF image.. 26 Sep 2008. © C.F.Carter(chris.carter@6cvw.freeuk.com). Gonium pectorale O.F.Müller Castle Ashby Park, Northamptonshire, UK. BF image. This is the type species (lectotype) of the genus Gonium. Mogi, Y., Hamaji, T., Suzuki, M., Ferris, P., Mori, T., Kabeya, Y., Miyagishima, S.-Y. & Nozaki, H. (2012). Evidence for the tubular mating structures induced in each mating type of heterothallic Gonium pectorale (Volvocales, Chlorophyta) (Note). Journal of Phycology 48(3): 670-674. Nozaki, H. (1989). Morphological variation and reproduction in Gonium viridistellatum (Volvocales, Chlorophyta). Phycologia 28: 77-88. Nozaki, H. (1990). Ultrastructure of the extracellular matrix of Gonium (Volvocales, Chlorophyta). Phyco 29((1)): 1-8. Accesses: This record has been accessed by users 4410 times since it was created. Greuel, B.T. & Floyd, G.L. (1985). Development of the flagellar apparatus and flagellar orientation in the colonial green alga Gonium pectorale (Volvocales). Journal of Phycology 21: 358-371. Hamaji, T., Ferris, P.J., Nishii, I. & Nozaki, H. (2009). 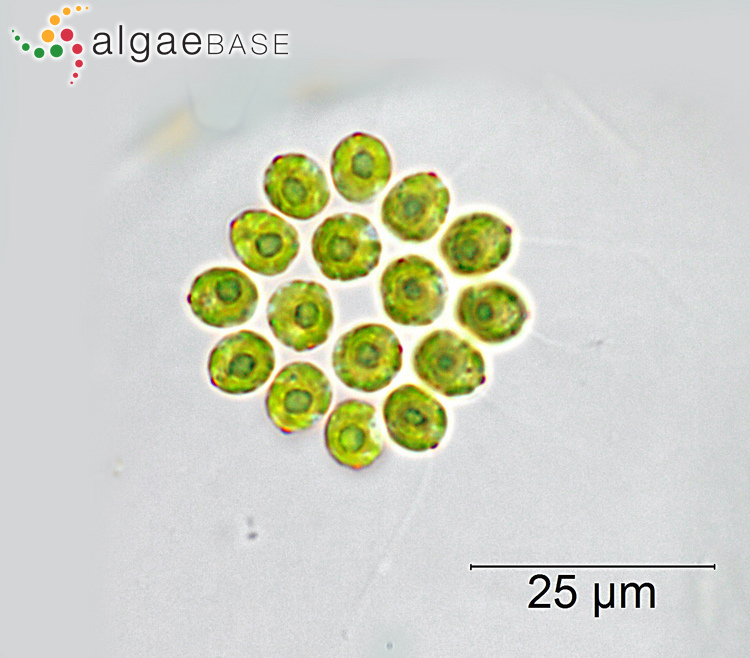 Identification of the minus mating-type specific gene MTD1 from Gonium pectorale (Volvocales, Chlorophyta) (note). Journal of Phycology 45(6): 1310-1314. Nozaki, H. (1984). Newly found facets in the asexual and sexual reproduction in Gonium pectorale (Chlorophyta, Volvocales). Jpn. J. Phycol. 32: 130-133.. Japanese Journal of Phycology 32: 130-133. Sako, Y., Shrestha, K., Uchida, A., Ishida, Y. & Saito, S. (1991). 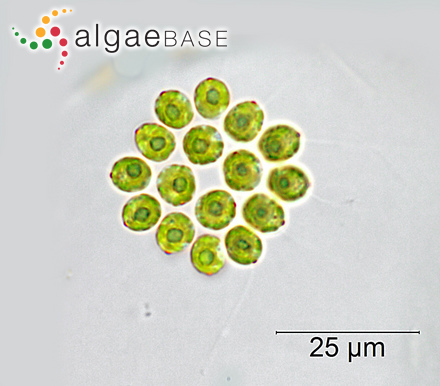 Isozyme analysis of mating populations of Gonium pectorale (Chlorophyta). Journal of Phycology 27: 309-315. Stein, J.R. (1965). On cytoplasmic stands in Gonium pectorale (Volvocales). Journal of Phycology 1: 1-5, 12 figs, 1 table. Stein, J.R. (1966). Growth and mating of Gonium pectorale (Volvocales) in defined media. Journal of Phycology 2: 23-28, 1 fig, 5 tables.